Item # 284169 Stash Points: 1,999 (?) This is the number of points you get in The Zumiez Stash for purchasing this item. Stash points are redeemable for exclusive rewards only available to Zumiez Stash members. To redeem your points check out the rewards catalog on thestash.zumiez.com. 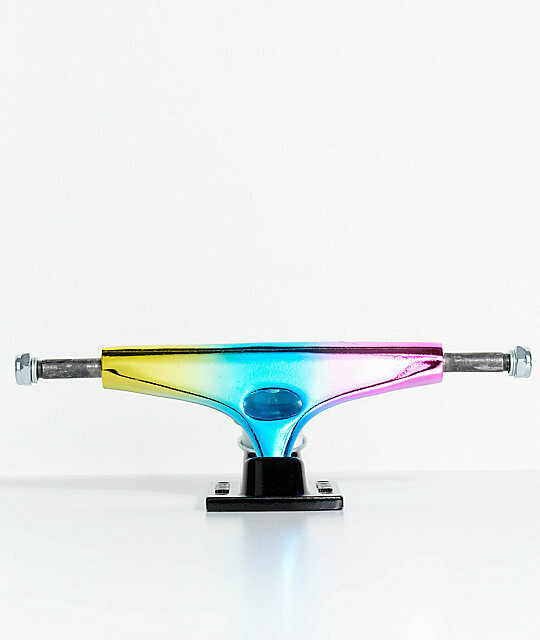 Responsive and bright with a glossy rainbow colorway, the Krux K4 Krome 8.0" Rainbow Skateboard Trucks are built tough from classic Krux reliability. Perfect for both beginners and veteran shredders alike, these trucks are featured with the brand's signature cushions that provide a solid broken in feeling from the get go. 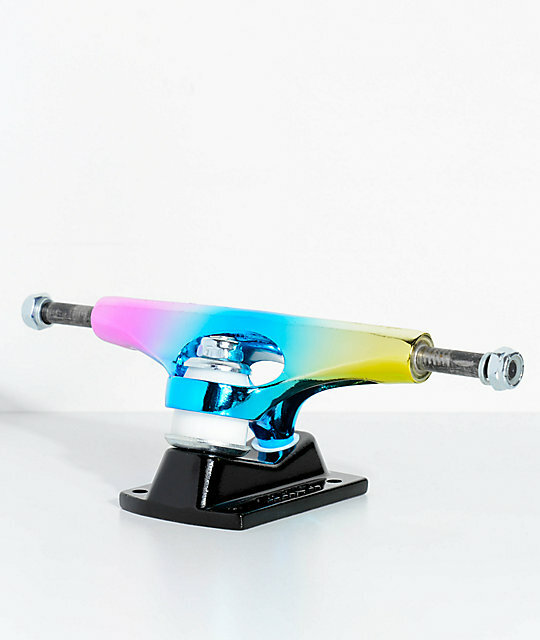 K4 Krome 8.0" Rainbow Skateboard Truck by Krux Truck. 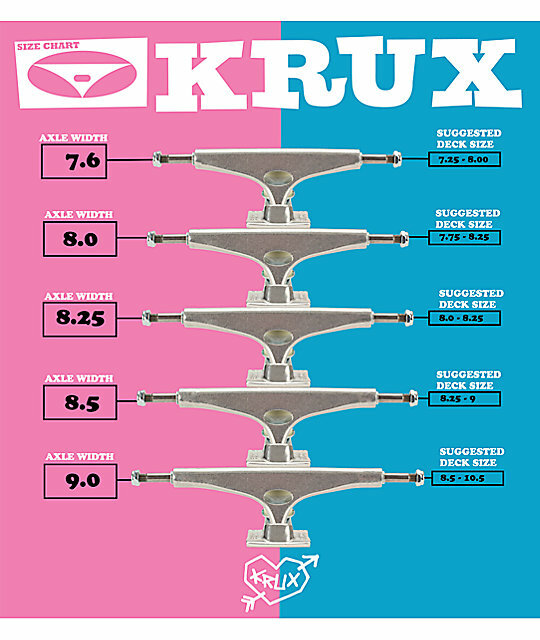 Team model trucks from Krux Trucks. Tested and approved by the Krux pro team. Custom Krux engraving on baseplate. These trucks work best on decks 7.75" - 8.12" wide. Note: Order two for a complete set.